From causing damage to your car’s tyres, rims, or even the steering, potholes have the power to cause a number of problems for your vehicle. Damage from potholes can not only impair your vehicle’s ability to function but could cost you a small fortune to have repaired. Read on to find out whether you are able to claim compensation from impairments and damage rendered through potholes. Potholes create structural problems on the road and are caused by weakened soil underneath the road’s surface. If there is an abundance of water within the road’s underlying soil, the surface of the road becomes vulnerable. With weak foundations, a constant stream of car traffic will further weaken the road’s surface, and a pothole will form. What happens if my car is damaged by a pothole? If you suspect that your vehicle has been damaged by a pothole, it’s important that you immediately investigate the damage. Record as much information as you can about the incident; take a photo of the pothole, note the pothole’s location and try to illustrate how big the pothole is. If there are any witnesses, ask for their details so that they can confirm the incident. Once you have gathered enough evidence about the pothole, it is in your best interest to report the pothole to the responsible authorities. Generally speaking, Australian highways and freeways are the responsibility of State authorities, while local roads are looked after by the Local Council. By reporting the pothole to the relevant bodies, you are encouraging them to repair the road and actively helping other road users. To be safe on the road, it’s vital that you get your car checked and have any damages repaired immediately. 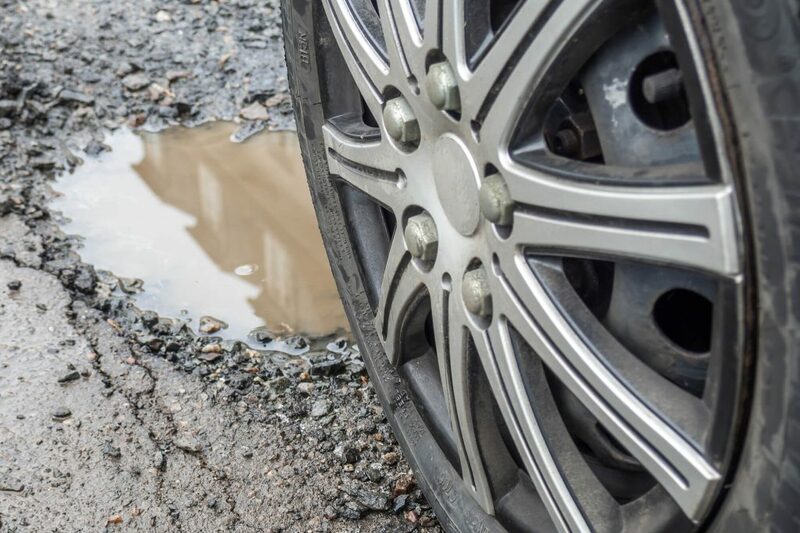 Some pothole damage can be so severe that drivers have no choice but to fork out thousands of dollars, but depending on your car insurance policy, you may be able to claim on the basis of the incident being a collision. If you’re wanting to chase up a reimbursement from the relevant governing authority, you must show your documentation as evidence to the Local or State authorities and file for damages. While most State claims for pothole damage are denied on the basis of being unaware of the pothole, it is still worth trying; especially if you have gathered together enough documentation and evidence.